Do not attempt to adjust your screen, and don’t rub your eyes to the point of ulcerated corneas, it’s really me, making an appearance. I know it’s been a long time since my last blog entry; July 1, 2014 as a matter of fact when I finished my eighteen week long account of my battle with cancer. I’ve thought and I’ve thought of what type of things I could write about since then to keep my blog going since my main focus was never really on one topic but rather putting my spin on some things that otherwise made me go, hmm…. . But now I think I have a purpose for resurrecting my blog and hopefully it will incite me to be more active and creative here. Before I get to it, let me bring you all up to date. January 22 of this year was my first anniversary of remission. Twice during that time, well, since last August, my oncologist, Dr. David, has postponed any further Pet scans because my blood work keeps coming back better and better each time. I see him next in April and maybe at that point I’ll be due for one. Also since my last blog entry I’ve had two basal cells removed; one from my forehead back in October and one from the inside of my right ear this past Thursday for which we trekked through the “snow storm of the century” to the Upper East Side of Manhattan. It’s healing nicely but it’s sore and itchy under the bandages. Now that we’re up to date, let me get to my point and not belabor it. 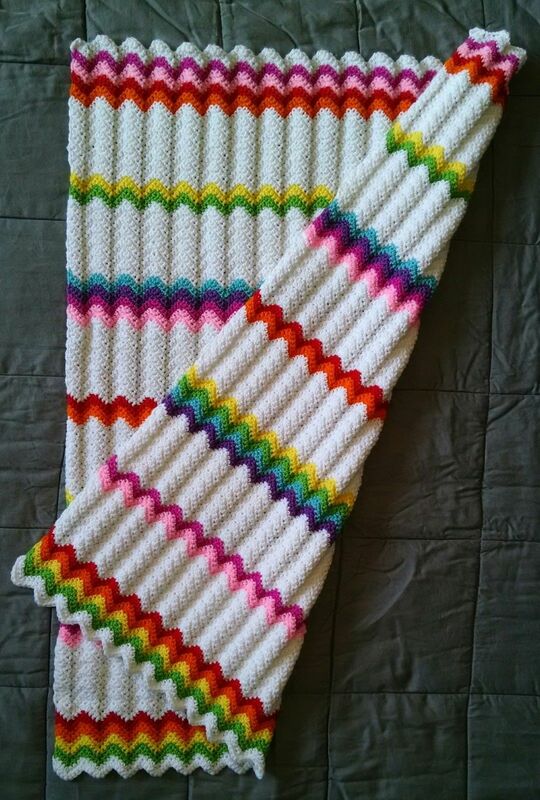 As many of you know, while I was going through my treatment for my Lymphoma, I learned how to crochet and I’ve made some fairly impressive pieces, if I do say so myself, but I can make only so many afghans for myself. And then I had an idea. I contacted the American Cancer Society and they aligned me with Ebay’s Giving Works. 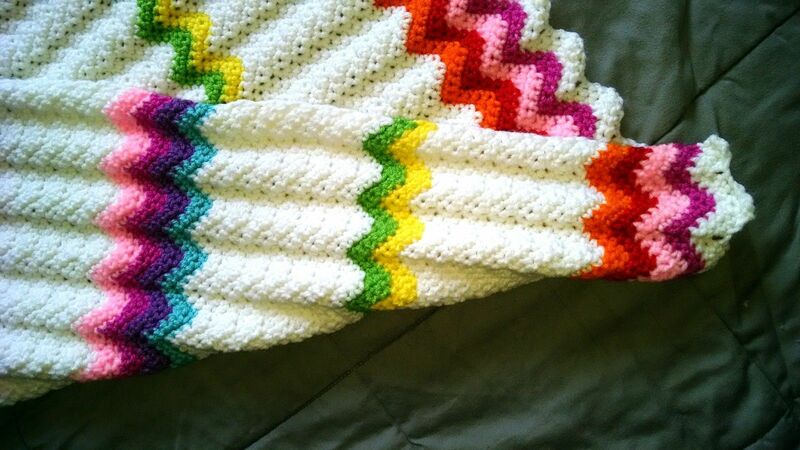 I wanted to put my crocheting to better use other than to have a collection of afghans the size of Fred Flintstones’ Bronto Ribs that tipped over his car at the drive- in draped over the back of my couch. 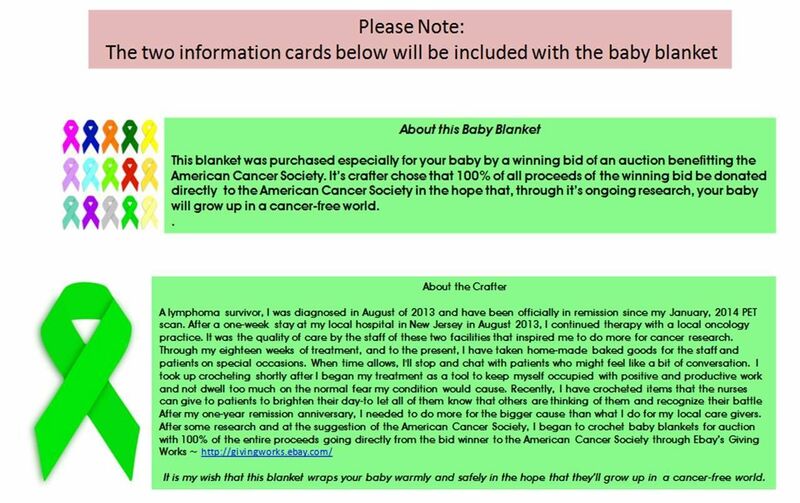 I am crocheting baby blankets to auction off to help raise money (100% of the proceeds) for cancer research, in the hopes that future generations will never have to go through the torments of cancer. 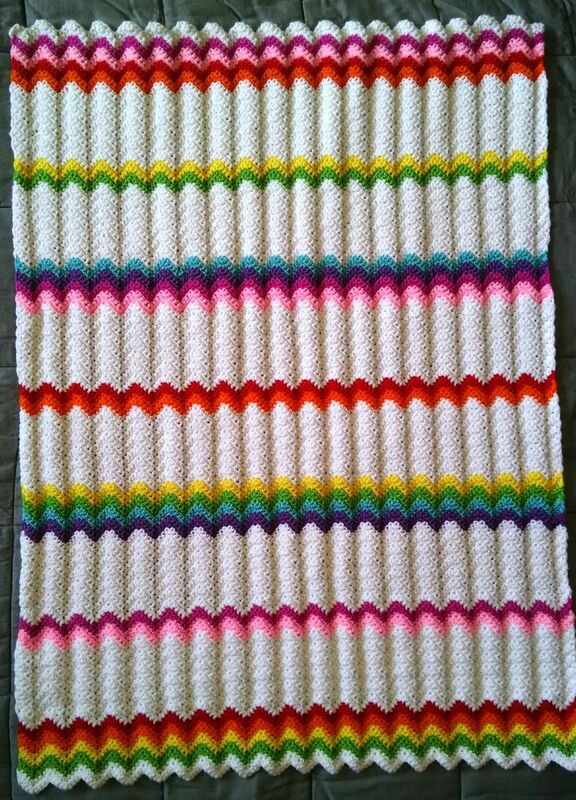 So far I’ve sold one blanket and currently have my second one up and I will be starting the next one, most likely later on after settling in once my Sunday “to-do” list is done. I will let the text in the picture below speak for itself and I’ve also included pictures of the blanket itself as well as the link to the auction page. Please take a look. Please bid if you have an interest and more importantly, please spread the word. Everyone knows someone who is having a baby. And chances are you know someone who has had or has some form of cancer. How nice would it be to know you may have helped someone not have to battle cancer? Click here to go to the Ebay page. This entry was posted on March 8, 2015 at 11:10 am and is filed under Uncategorized. You can follow any responses to this entry through the RSS 2.0 feed. You can leave a response, or trackback from your own site.